Prepare, cook, and serve at TV-themed restaurants. Is there a better alternative to Cooking Dash - DinerTown Studios? Is Cooking Dash - DinerTown Studios really the best app in Simulation category? Will Cooking Dash - DinerTown Studios work good on macOS 10.13.4? Cooking Dash - DinerTown Studios... Trouble on the set! Flo's friend needs help feeding the cast and crew of her TV show. Prepare, cook, assemble and serve the delicious menu items from each TV-themed restaurant. 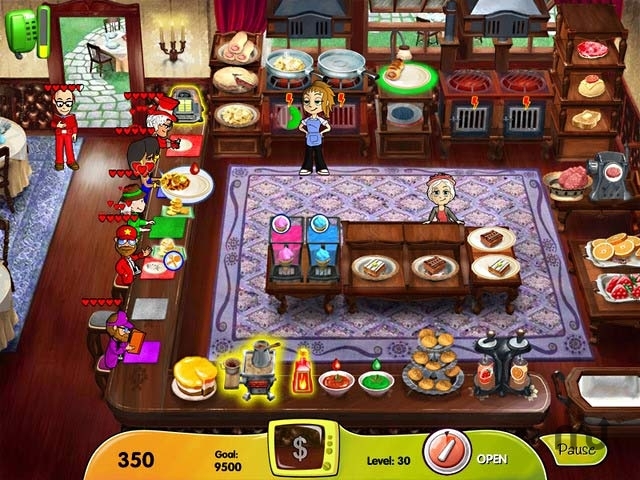 Can you successfully feed the egos and stomachs of the cast and crew and keep them from walking off the set in Cooking Dash: DinerTown Studios? Cooking Dash - DinerTown Studios needs a rating. Be the first to rate this app and get the discussion started!